Expand and enhance the image of equestrian competition. The professionals and amateurs involved in the OHJA share the belief that horsemanship promotes and develops not only an appreciation of horses and riding, but also in a much broader sense dedication, commitment, and sportsmanship. 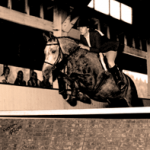 The Oregon Hunter Jumper Association promotes the pursuit of excellence from grassroots to OHJA-rated competitions. It strives to ensure quality horsemanship and sportsmanship, to provide high levels of communication and responsibility to the general membership, and bring national recognition to Oregon and its many fine riders and trainers. OHJA is proud of its heritage and long-standing traditions. We hope this website shows how much we honor the dedicated equestrians of Oregon. Our membership spans decades, from toddlers to our treasured vintage riders and no-longer-riding. 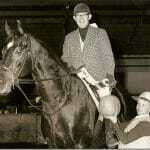 We applaud their enduring love of horses, their bravery and their contributions to our sport. Our non-profit organization relies on the financial support of our donors. No donation gift is too small and each gift makes a difference. Just click to donate. Volunteers are always welcome and a great way to connect with the community. Business memberships, sponsorships & advertising funds many OHJA programs.